Get linked to the latest news on information technology, lolcat memes and all things sci-fi. Students looking for an apartment in Montreal typically have to trust that a potential landlord isn’t ripping them off—but there may be a solution in the works. After a particularly horrifying experience with a landlord in the Plateau, Université de Montréal student Youssef Allami created a website in July 2015, which allows tenants to rate their landlord and the quality of the apartment they live in. The project called Should You Rent?, or Louer Ou Pas?, offers a user-friendly space for all tenants across Canada to express the pros and cons of their current apartment for their next neighbours or future tenants. The website includes a map showing apartments which have been reviewed, options to see the reviews in list or grid format, and an easy-to-find search bar. Reviews on Should You Rent? are based on a five-star system. Criteria to review landlords includes completing repairs and communicating in a timely manner, addressing your concerns and being easy to work with. For apartments, tenants can rate the location, noise and temperature insulation, house conditions, and washer and dryer. Not all landlords in Montreal are a “ray of sunshine.” The website is an opportunity for unlucky tenants to hold their bad landlords accountable for doing things like taking advantage of their security deposit, or taking a long time to change the locks. While this is all well and good for the tenants, particularly vulnerable students from outside of Montreal, what about the landlords? 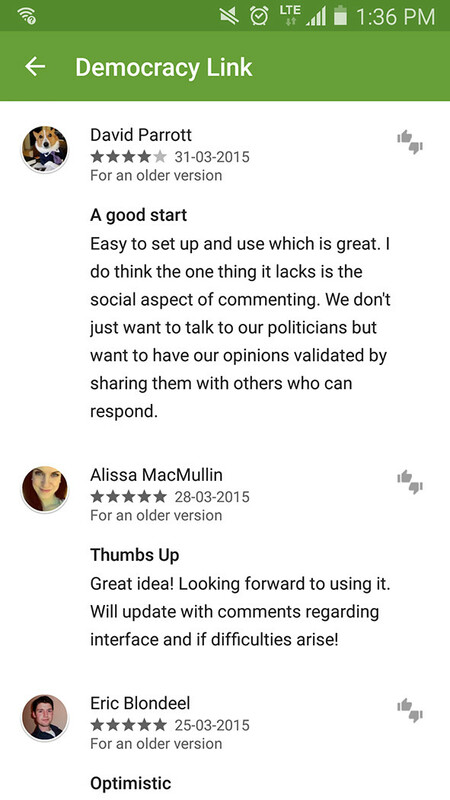 How much power do they have to change their reviews online? A landlord can make a request to delete a comment but it will only be removed if they have proof that the claim is false. Otherwise, landlords only have the power to reply to comments made about their services. In order to manage their own apartment page on the website landlords must pay a fee which is not listed on the website. This allows them to add information about rent price and other specifics, add photos of the apartment, and notify other users of any changes made to the apartment. At the surface, Should You Rent? is a great idea—as stated in last week’s editorial, anyone can become a landlord, and this can be a problem. Greater accountability and shared knowledge about which apartments and landlords to avoid are solutions that Should You Rent? attempts to offer. However, without a greater database of reviewers and apartments, the website doesn’t depict a true image of Montreal, let alone the rest of Canada’s apartments and property owners. With only one apartment reviewed in Calgary and three in Toronto, it’s clear this Montreal-based website has yet to leave the boundaries of the island. To rate your landlord and apartment for future tenants, visit shouldyourent.com. Concordia students (and a McGill graduate) just won CBC’s 2015 Hackathon and want to revolutionize media by allowing YOU to choose the news. On March 15th 2015, CBC announced the winner of its annual Hackathon. Marissa Cristiano, Madeleine Lahaie, Mohamed Abdelbaky, Mike Ghenu and Stephanie Pataracchia were crowned the winners of the weekend long event for their ‘Community’ app which hopes to engage users by allowing them to choose the news that they want to see. CBC challenged the hackers to create innovative solutions to make the news more accessible and interactive as younger newsreaders abandon traditional print media platforms in favor of strictly online news delivery. “I think we all grew up with a certain structuring quality of the news where you go home, have dinner with your parents and the 6 o’clock news would be on. We’re the first generation where that no longer happens,” Cristiano explains. 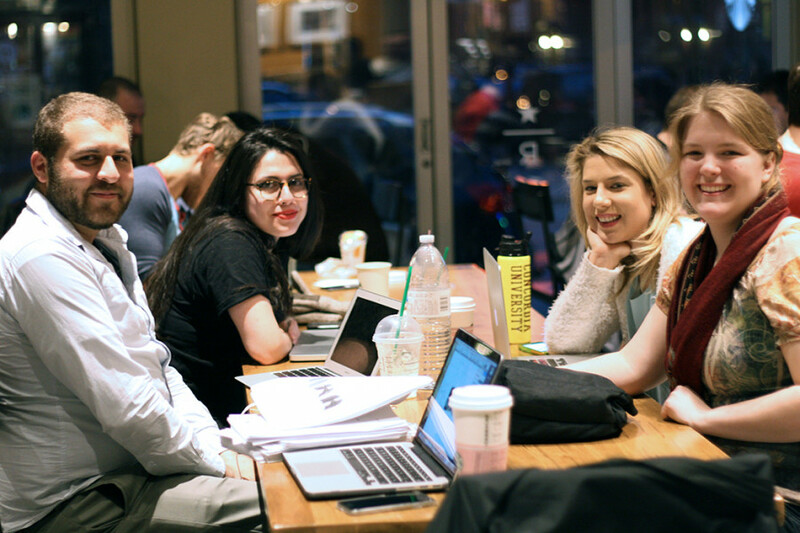 While most Hackathons are usually all-night events where caffeine fueled coders hammer away at keyboards in a game of technical oneupmanship, Mohamed credits this year’s victory to his group’s diversity. The origins of this startup begun when Cristiano, a Communications student at Concordia, who came up with the initial concept. Her friend Lahaie, also a Communications student, has a background in UX development. Together they held up a simple piece of paper at CBC headquarters asking for coders. 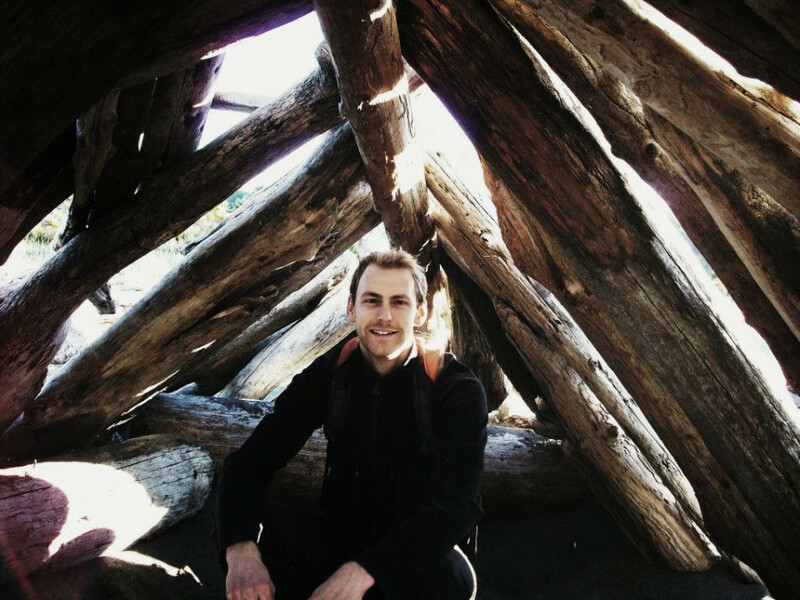 This plea got the attention of Abdelbaky, a software engineering student at Concordia and Pataracchia, a software engineering graduate from McGill. With the help of public attendee Mike Ghenu, the team completed the winning mock-up in 48 hours. Winning the event earned them a $2,000 prize, but more importantly, it also gave them a chance to pitch their idea to CBC executives and tech firms. The concept behind the app is to make news more publicly accessible and interactive. In an age of retweets and Reddit posts, news has transformed dramatically from the legacy days of one way discussions through newspapers or TV. Even in the forward-thinking frontier of online journalism, every agency, article and blog has a comment section where people can voice their own opinion. Major organizations like CNN have begun utilizing these responses for their own broadcasts. The theory behind this increasing interactivity is called Gamification; a concept that is changing the way people interact with everything from education to marketing to health care. The premise is simple. By creating a medium that rewards interactivity, users feel more connected to whatever it is they are doing. Facebook does it with the Like button and Reddit depends on the upvote/downvote system to moderate what appears on their infamous frontpage. Marissa said she wanted to create something that would lower the barrier of entry for people and deliver to them things they’re interested in, things that they want to see. To accomplish this, the Community app features a Tinder-like element where users can choose the stories that matter to them by swiping left or right. This then personalizes the news they see by giving CBC direct information about which stories each individual user is interested in. This level of participation turns the user into the editor—able to change the landscape of news itself through interactivity. But with every breakthrough comes concerns about how this new technology will change traditional publications. The first issue is the comparison to ever-so-simple Tinder itself. The second issue is something that might change how journalists operate forever. Traditionally, reporters either get assigned stories or pitch their ideas to an editor. At the end of the day, it’s the editor who decides which stories make it to publication. Community proposes that journalists pitch their ideas directly to the app and gives the user the ability to decide which stories are worth delving into and which aren’t. This shift would diminish the idea of the exclusive—the “scoop”—and could allow competitors to poach stories—something the CBC addressed directly in the coverage of the event. “No other news network is engaging the public in that kind of way,” said Cristiano. “It’s about getting over the inherent fear of traditional journalism where we need to own this and we need to be the first ones to deliver this”. This revolutionary concept still has a long way to go. The team will be developing the app further in preparation for the pitch meeting with the CBC. They will decide whether or not they will officially pick up Community. 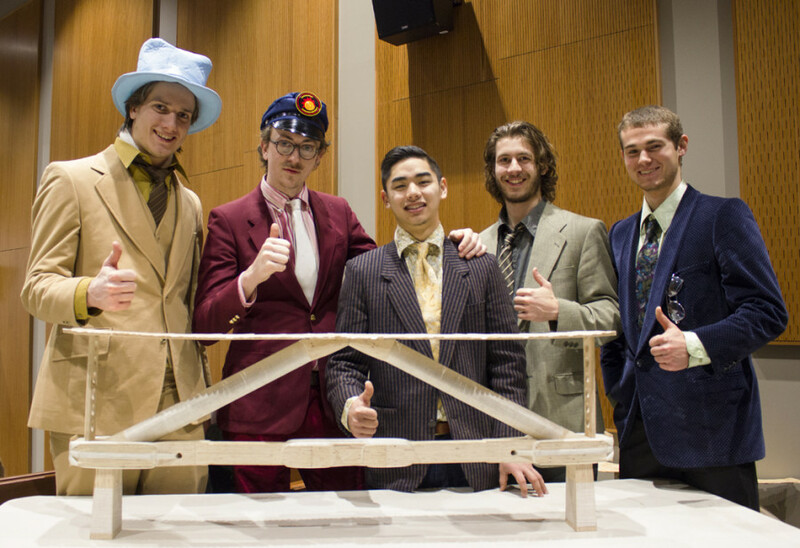 The sound of cheering, clapping, loud music and wood cracking were enough to lure you in this weekend to one of the most anticipated events of Concordia’s Engineering Week—the Troitsky Bridge Building Competition. The competition, which took place in the Hall Building, is every engineering student’s dream. 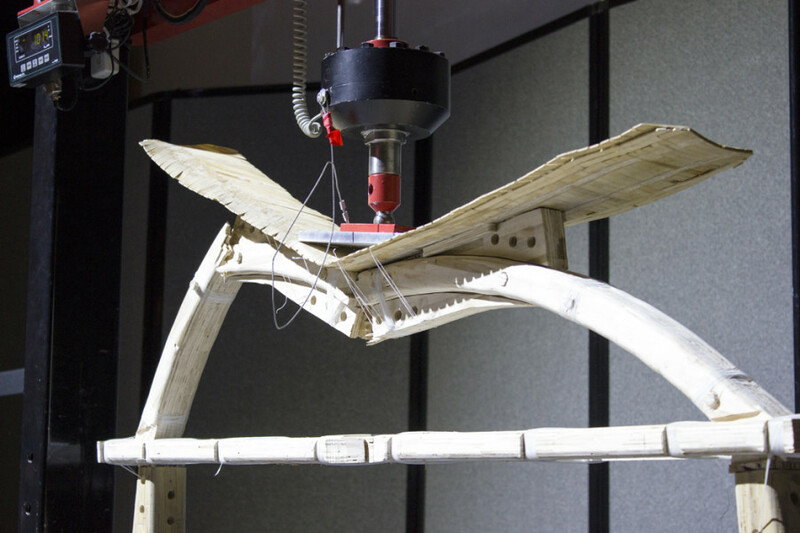 Using popsicle sticks, toothpicks, white glue and floss, participants create bridges and test their durability with a crushing machine that puts pressure on the structures. The teams have to be very judicious when building their bridge as there are certain criteria they must follow. Bridges must be as light as possible and sustain the maximum possible weight. In addition, there is a specific width to height ratio that they cannot surpass, they must have a clear span and a deck as if cars could go through them. All bridges are measured and weighed before the actual crushing ceremony as a predicted mode of failure and load is estimated. Bridges that do not comply with the criteria are disqualified from the competition. “We had a good presentation, we just weighed in and had no penalties, so it’s up to this guy right here to do the rest of the job,” said Daniel Lee Kim while pointing to his bridge, the product of 150 hours of work. His team Don Cherry Poppers from McMaster University came in second place. 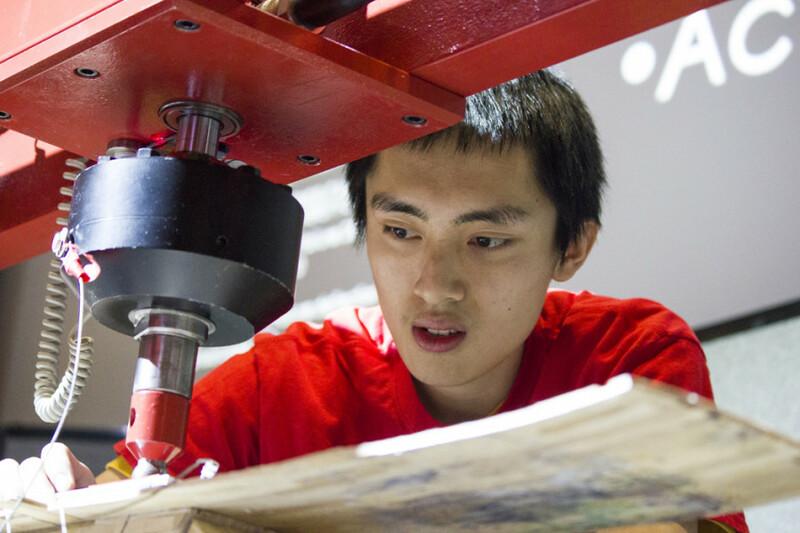 The Troitsky Bridge Building Competition celebrated its 31st birthday this year with 36 teams from universities across Canada, U.S. and Europe. The number of teams has grown by about 10 in the past five years. As far as the work that is presented each year, Kindarji says it’s getting more and more innovative. Between March 4th and 6th, Concordia University hosted a free video gaming expo in the EV Building. The event was called Arcade 11, and was part of the third edition of Montréal Joue, a festival open to the public which celebrates gaming culture and projects of all sizes being created in the city. Arcade 11 featured several experimental and independently designed games making use of a wide variety of familiar and innovative technologies such as the Oculus Rift virtual reality headset.